Country Thunder will roar to life this weekend! Published July 18, 2018 at 6:26 p.m. It's that time of year again: Country music fans, get yer flags ready to fly! 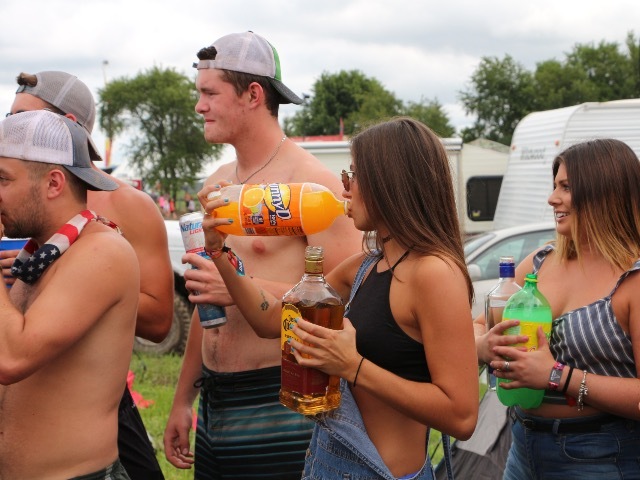 Country Thunder rolls into Twin Lakes on Thursday afternoon and runs through Sunday night, packing a whopping 36 different acts between the Main Stage and the Boathouse Cabana. Per the usual, the lineup is stacked with killer artists: the new, the established, the hot, the now, the gritty, the pop ... pretty much all of it. There's no doubt you'll find something you like in this lineup – guaranteed. The headliners have more number one hits than you can count on two sets of hands and feet. Totally insane. Headlining Thursday night is rising star Sam Hunt. His fusion country has taken the genre by storm in recent years, producing four number one hits and two top five songs. Hunt fuses R&B and pop to traditional country elements creating a sound that really is like no other. Expect a night filled with high energy, crazy fans and lots of dancing. Plus, look forward to Hunt's latest single, "Downtown's Dead." On Friday night, Dierks Bentley returns to Country Thunder Twin Lakes for the first time since 2015. He's a joy to watch – totally comfortable in his skin – and his music is amazing. The CMA and ACM award winner will pull out all the stops, not quitting until the crowd is whipped into a good, frothy frenzy. Expect a super dynamic setlist stacked with Bentley's extensive hit list (16 number ones, if we're counting). He'll also include some fresh songs from his just-released album, "The Mountain." Saturday night you'll be treated to song after song you know by heart from headliner Toby Keith. His voice is deep and so, so smooth. And the man ... what can you say about him and his incredible career? With 20 number one hits plus an additional 21 songs charted in the Top 10, Keith's show on Saturday is sure to be a no-holds-barred party. The singer-songwriter is likely to bring the house down with hit after hit ... after hit – such his cross-genre favorite "Red Solo Cup" – plus probably a couple songs you're not quite so familiar with, like his latest single, "Wacky Tobaccy." Closing out the festival on Sunday night is a hands down crowd favorite, Mr. Luke Bryan. He, too, was last at Country Thunder in 2015 – and that show was one for the ages. There's no reason to think that Sunday night won't be as epic as his last appearance in the Thunder Bowl. He's in perpetual motion, laying down insane renditions from his catalogue, but expect a surprise of one sort of another. Bryan is good for the left-field and the unexpected. Also, assume that you'll leave his show hoarse and sweaty. The headliners this year are huge and should be enough to get you out to Twin Lakes. But if you still need incentive, add Midland, Brothers Osborne, Tyler Farr and Brett Young – plus Runaway June, Ashley McBryde, Cale Dodds, Little Texas and Sawyer Brown – to the weekend's lineup. It's so much country music, you might not actually be able to handle it all. It really is a must-have ticket for the weekend. Tickets can be purchased at Country Thunder's website or at participating Walgreens and Menards with up to $30 savings. Otherwise, four-day general admission will cost about $190 plus tax, while one-day tickets cost $75 plus tax. There are still some reserved seats available as well for about $325 for the four-day festival. That said, having spent some time in the campgrounds last year, they look like an actual blast. It's like an instant neighborhood. Country Thunder offers multiple levels of camping and amenities, some of which are still available. New this year is the "Crown" campground, located so close to the Thunder Bowl you can almost reach out and touch it. It includes two general admission passes for the weekend with upgraded access from the Tito's Lounge viewing area, which is pretty close to the reserved seats. You also get a swag bag plus water, power and septic hookups for the weekend – which is kinda huge. The cost of Crown Camping is a little over $1,700 for the weekend. Then there are the general campgrounds which vary in cost based on their proximity to the venue and whether you order extras like a Port-a-Potty. Glamping – which would be my choice, because who doesn't want an air-conditioned tent and access to a shower – is already sold out. This year, Country Thunder has designated pick-up and drop-off zones for Uber, so please check the website for details. There are also shuttles available by Lakefront Shuttle from nearby hotels in Lake Geneva, Elkhorn, Delavan, Kenosha and Woodstock. It's $15 a day or $40 for the weekend. Food and drink aplenty await you on the festival grounds. Honestly, I don't think there's anything you'll want for this weekend. There's a general store inside the marketplace in case you need aspirin or band-aids, etc. Last year they sold rain boots because the festival grounds turned to mud after torrential rains on Friday night. So yeah, they should have you covered. Otherwise, there are stores in nearby Twin Lakes and Richmond. Remember to check Country Thunder's website or the app for the list of things that aren't allowed to be carried in. Most importantly, if you plan on carrying anything in, you'll need a clear plastic purse or bag. No bags of any kind that aren't clear will be allowed into the Thunder Bowl. 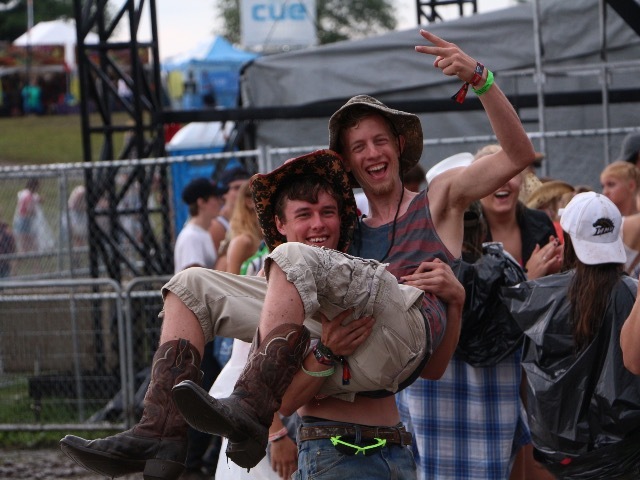 More than anything, Country Thunder is a chance for country music fans to just let loose. Great music, great fun and usually amazing, if not crazy, weather – lean into it. Let your country freak flag fly. You'll have a blast. Morgan Wallen talks his fast rise to country fame and his "Tennessee Waterslide"